"View and extract resource from many different types of PE files." 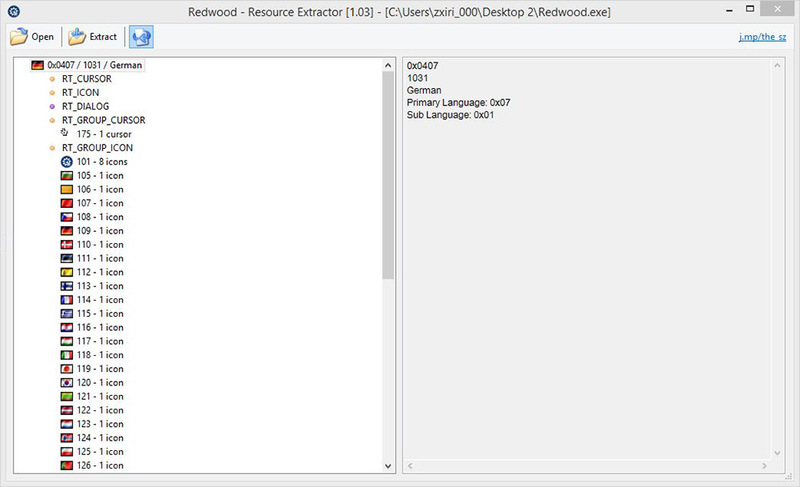 If you need a simple tool to extract any resource within certain types of Windows 32 and 64 bit PE files, all you need a simple tool called Redwood developed by The SZ Development. You can view and/or extract the resources from within the files of the file format of EXE, DLL, OCX, CPI, or pretty much any other PE file used on Windows operating systems. The embedded resources are sorted and organized for you so you can easily find and identify them from within the files. They are shown in a tree and sorted by language and type. In the preview you will find pictures like BMP, PNG, JPG, AVI movies, icons, dialogs, cursors, string tables and the version info of the file. The other resources within the files will be shown to you as binary dump. All of the resources you can access can be saved from the application itself. You can extract all of the icons (.ico files) from within the files in all resolutions provided, including 256x256 PNG format. You can save the entire file string table as a text file in unicode or ansi format. 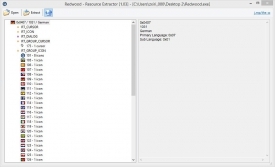 With all of the options provided to you for free in the free download of the Redwood application it makes it extremely useful to those who need to get those embedded resources. With a simple and organized interface, Redwood really shines as a free application with such powerful features that make it useful for just about any user. If you are interested in this Redwood free download, all you have to do is click on the download link above this review. In just a few minutes you will be able to access all of the resources from within these files without issue.